BBC News returns to the inquiry by the National College of Teaching and Learning into the alleged remarks of a BNP affiliated teacher who is alleged to have made anti-Muslim remarks in the classroom. 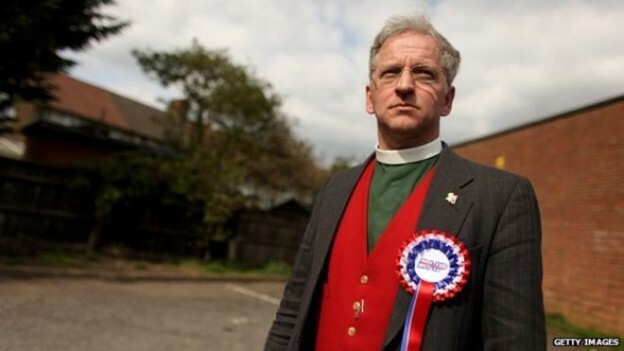 Reverend Robert West, who is also standing for the BNP in the parliamentary seat of Boston and Skegness, was found guilty of unacceptable professional conduct at a disciplinary hearing this week. The NCTL is to decide whether he should face a lifetime ban from teaching. BBC News reports that the inquiry panel heard yesterday how West is alleged to have made anti-Muslim comments during a stint as a supply teacher at Walton Girls High School, Grantham, on 8 November 2013. BBC News notes “During another lesson on 14 November 2013, the hearing was told he said “any non-Christian god is demonic” and “Muslims worship the devil”. West maintained that the comments were made in the context of a lesson on the Crusades and that he was exposing the pupils to different points of view. He denied that the comments were a reflection of his own views. The NCTL panel concluded that Mr West’s conduct fell short of expected standards, and found him guilty of unacceptable professional conduct.